The Certificate in Byzantine Music program equips students with a mastery of the skills required for chanting the sacred hymns of the Orthodox Church. 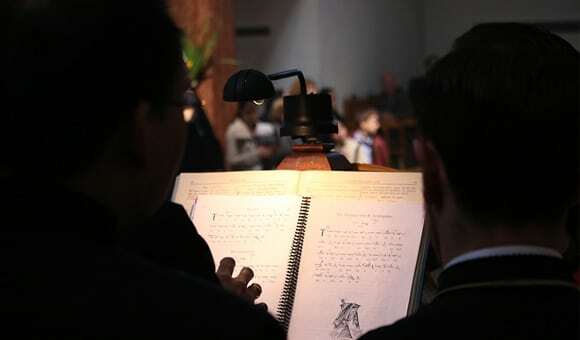 The program provides thorough knowledge of the psaltic notational system, the theoretical framework of the modal system, the ability to sight-read musical scores at all levels of complexity, and an extensive familiarity with the contents and usage of liturgical books and the rubrics of the Orthodox Church. 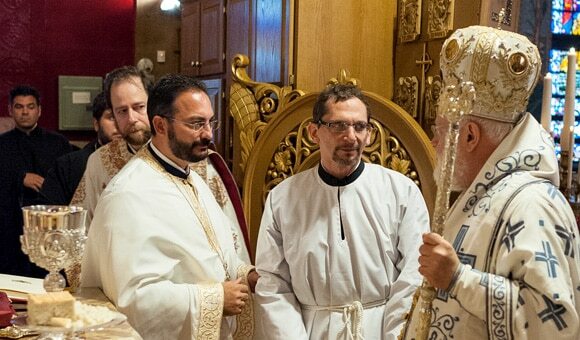 The Diaconate Program is an educational and formational initiative of the Holy Eparchial Synod of the Greek Orthodox Archdiocese of America and Holy Cross Greek Orthodox School of Theology. 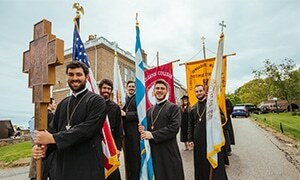 The program is intended for individuals who are interested in serving the Greek Orthodox Archdiocese of America as deacons and is designed to prepare these candidates for service to the Church as deacons. Application requirements are specific to each program. For more information, please contact the Office of Admissions.